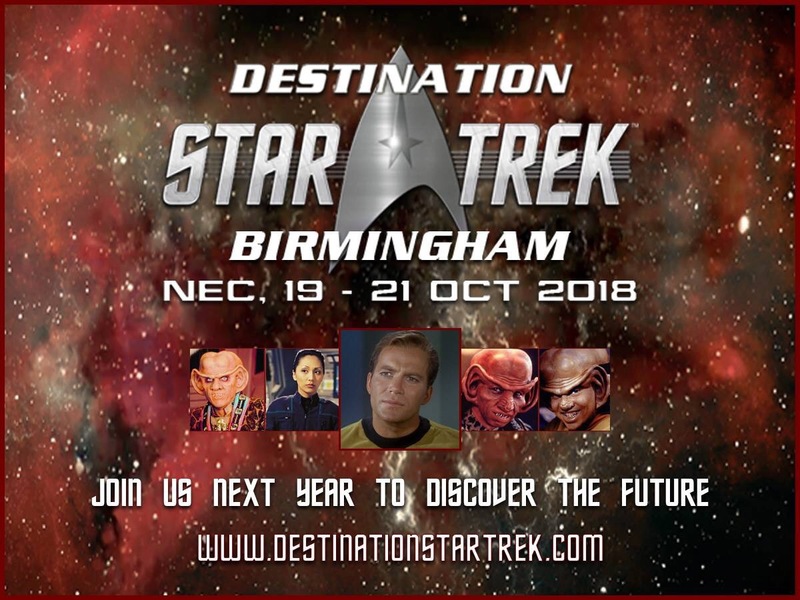 Destination Star Trek Birmingham will be taking place 19th – 21st October 2018 at the Birmingham NEC. This is set to be one of the biggest and best Star Trek conventions of the year with some top names already announced. Such as William Shatner, Jonathan Frakes, Nichelle Nicholls, Jason Isaacs and Gates McFadden. Destination Star Trek conventions have been going since 2012 which was the largest Star Trek event in Europe.